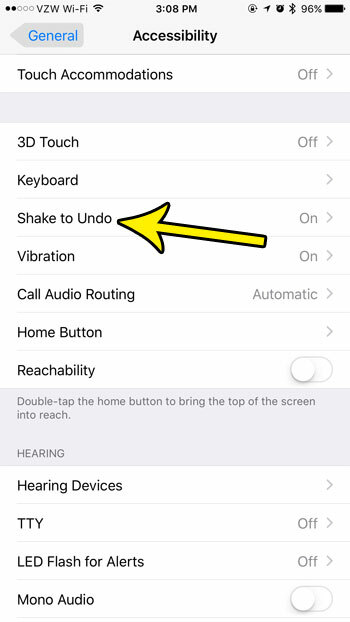 Your iPhone has a feature that allows you to shake the device in order to undo certain actions. This can be helpful when it is something that you are doing intentionally, but it can be a problem when it is occurring accidentally. If you find that your iPhone is often shaking and undoing things, then you might be looking for a way to stop that from happening. 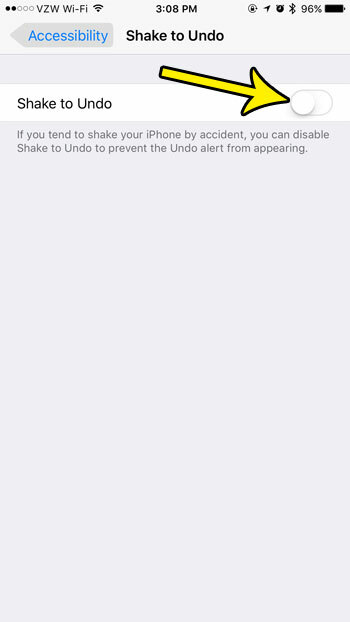 Fortunately the “Shake to Undo” option on your iPhone is a setting that can be turned on or off at will. Our guide below will show you where to find it so that you can get your iPhone to stop undoing your actions because the phone is shaking. The steps in this guide were performed on an iPhone 7 Plus in iOS 10.3.3. These steps will also work on other iPhone models using the same version of iOS. 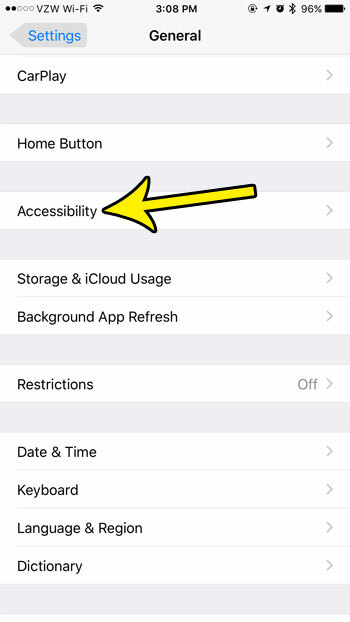 Step 3: Tap the Accessibility menu item. Step 4: Scroll down and touch the Shake to Undo option. Step 5: Tap the button to the right of Shake to Undo to turn it off. There will be no green shading around the button when the setting is turned off. It is turned off in the picture below. 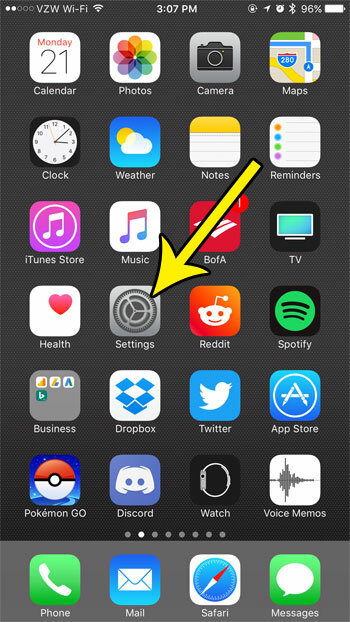 if you find that you actually relied on this feature more than you realized then you can return here later and turn the setting back on by following the same steps. Did you know that you can set up your iPhone so that the camera flash on the back of the device goes off when you receive alerts, such as the one that you get for a new text message? 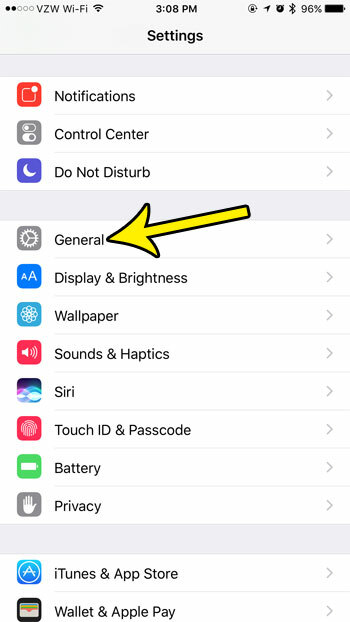 This guide will show you how to enable that setting.